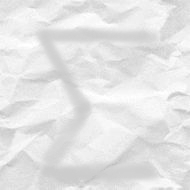 Sigma is a Mathematica package that can handle multisums in terms of indefinite nested sums and products. The summation principles of Sigma are: telescoping, creative telescoping and recurrence solving. The underlying machinery of Sigma is based on difference field theory. The package has been developed by Carsten Schneider, a member of the RISC Combinatorics group. The source code for this package is password protected. To get the password send an email to Peter Paule. It will be given for free to all researchers and non-commercial users. Copyright © 1999–2012 The RISC Combinatorics Group, Austria — all rights reserved. Commercial use of the software is prohibited without prior written permission. This package contains one or more Mathematica input files which are encoded. Those files cannot be read or modified directly as plain text, but can be loaded into Mathematica just like any normal input file (i.e., with <<"file" or Get["file"]). There is no need (and also no way) to decode them by using additional software or a special key. If loading an encoded file causes a syntax error, open it with a text editor and remove any blank lines at the beginning (for some reason your Mac could have inserted them silently...). For a demo see the built in help of Sigma. For further literature click [here]. Sigma is developed for Mathematica 9 and higher versions and might not run properly on earlier versions. Please report any bugs to Carsten Schneider.